Are The Leading Manufacturer of Speed Breaker in India. SANDHYA ENTERPRISES Safety Solutions Have 20 Years good experience to provide all this material. Ours is a prominent name of the industry, which is engaged in manufacturing, supplying, a qualitative range of Rubber Speed Breakers. 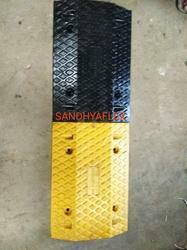 The offered array of Rubber Speed Breakers is manufactured by our professionals in complying to the international standards of quality. These speed breakers help in controlling traffic and accidents in roads. Further, our respected customers can avail these speed breakers from us at industry leading prices. 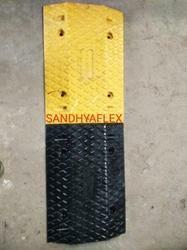 Sandhya Enterprises manufacturer and Supplier of Rubbre Speed Breakar Rubber Speed Breakers. Looking for Rubber Speed Breaker ?